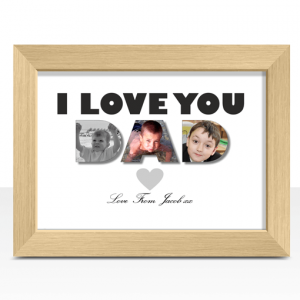 90.24% of customers gave 4 star rating or more. 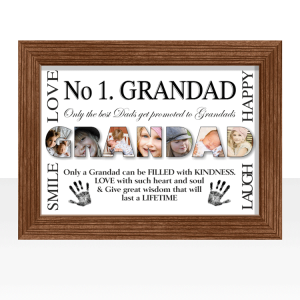 Someone from Faifley & 6 others recently bought this item. 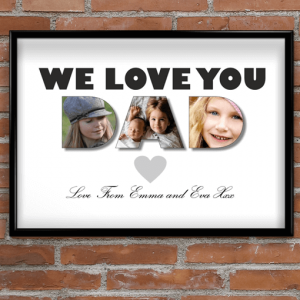 This personalised ‘DADDY’ photo print makes a very special & unique gift for any dad. 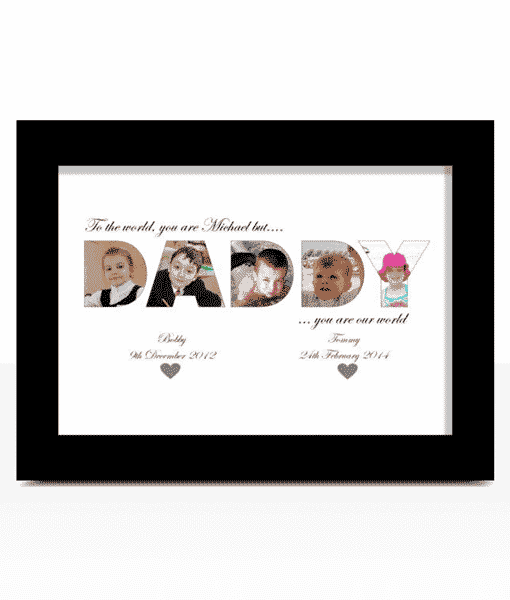 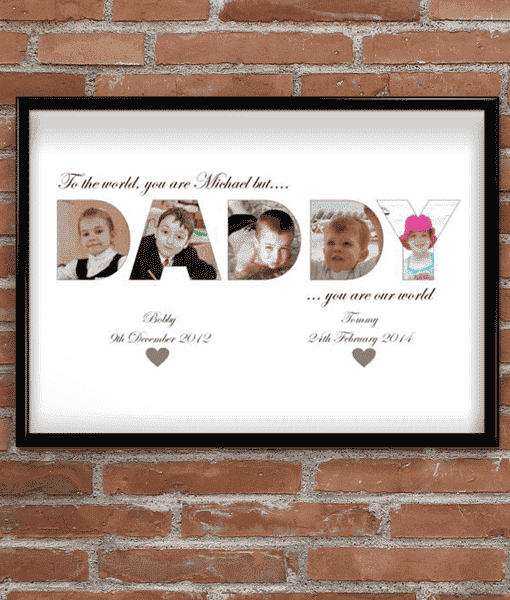 You get to add your own favourite photos and customise the text to create your own one of a kind print. 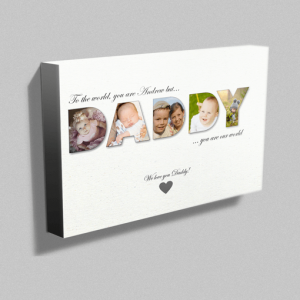 Add 5 photos to create the word DADDY *. 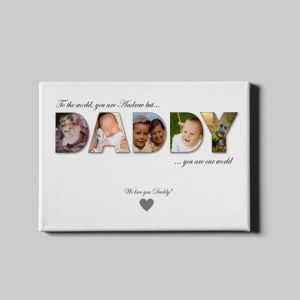 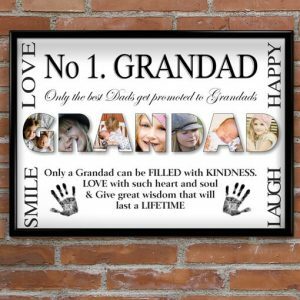 Create your own Personalised ‘DADDY’ Photo Canvas to make a very special & unique gift for any dad. 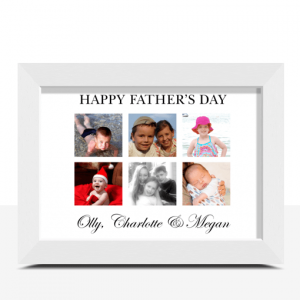 This personalised Father's Day Print allows you to create a collection or montage of your favourite photos to make a special unique gift. 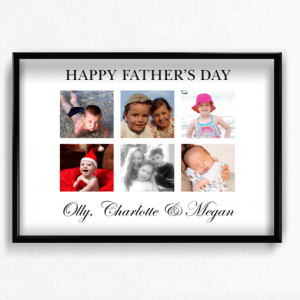 Add your own photos to create Dad a special personalised photo gift.